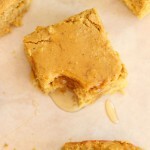 INSANELY moist Pumpkin Cornbread! 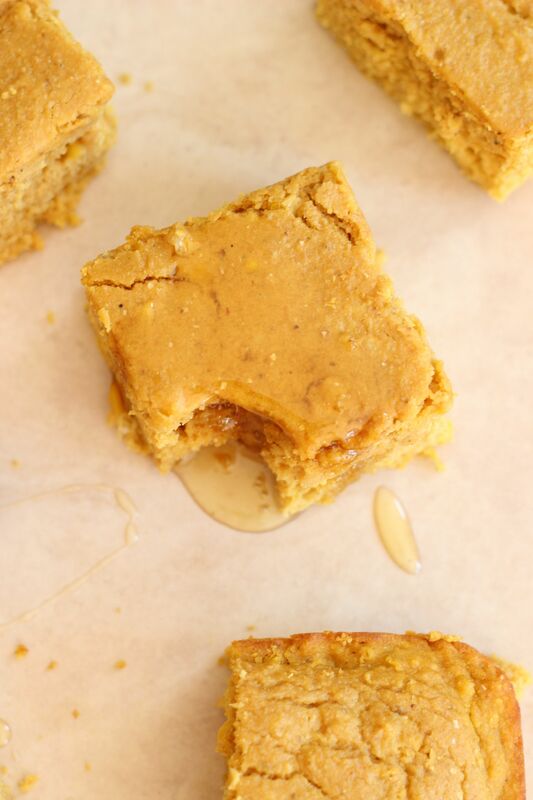 This is THE BEST Pumpkin Cornbread recipe you can find. It’s so simple, but so moist, flavorful, and with a hint of sweetness. Made with creamed corn, honey, molasses, and brown sugar, and pumpkin, of course, so it’s got the best stuff in it! You may have heard me mention once or twice (or 605 annnnoying times) that I got a new camera. Yaaaaay! This is good news for all of us because as soon as I master it (maybe that’s never though? Eek), then all of our eyeballs won’t have to look at dreadful photos anymore. However, there’s a learning curve that goes along with this grown-up camera, and it’s no joke. Witness a faux pas. Oh, hey! There’s me! In the reflection of the spoon… yeah, in the pink dress. Nice work, me. Sharp photography skills! While it’s been an intimidating process, it’s been fun to learn too. I genuinely love learning, and it’s exciting to venture into new territory. I’m a total novice, so I’d really love if you’d share your favorite photography tip with me! In the meantime, let’s talk about more pumpkin things! As though that hasn’t been an excessive theme here lately. Haha. We’re still rollin’ with it, and it continues with this Pumpkin Cornbread recipe. For the longest time, I didn’t see pumpkin and cornbread as a natural fit and it felt gimmicky to combine those two things, like, what else can we cram pumpkin into? 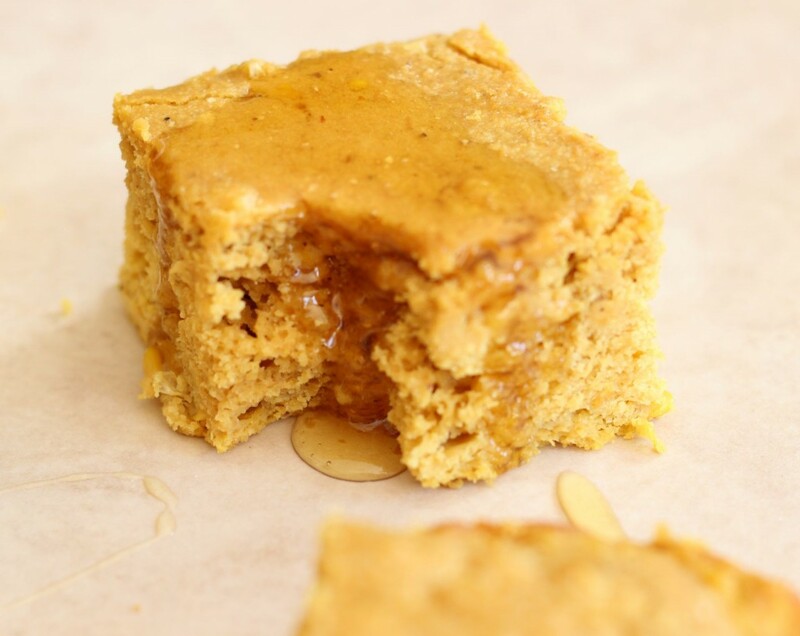 I got on board with the pairing in the form of this Pumpkin Cornbread recipe last fall though. It’s straight-up phenomenal. It has detectable pumpkin flavor, but not overwhelmingly, and pumpkin complements cornbread more beautifully than I ever would’ve imagined. This is The Best Pumpkin Cornbread. The BEST. The overall flavor is awesome, but it’s also unbelievably moist. The most moist bread there ever was. It doesn’t need honey, but just a drizzle = perfection. We just finished this batch but I still need more Pumpkin Cornbread. I’m already excited to make it again. 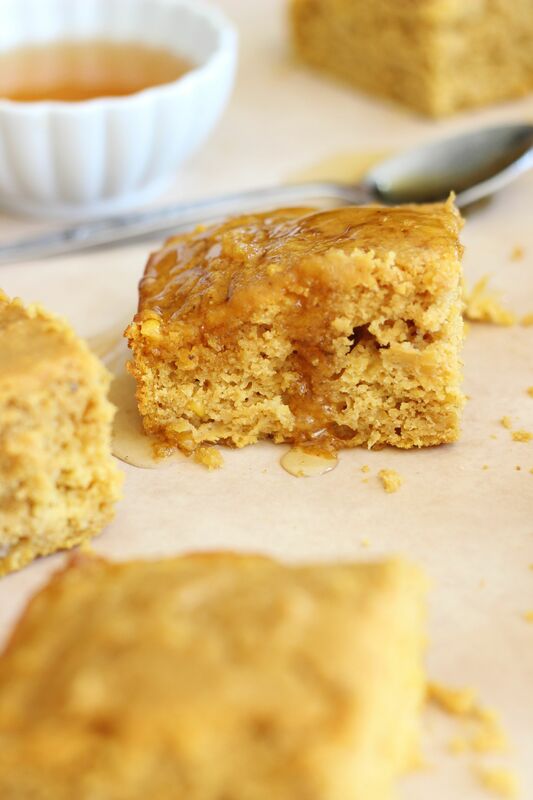 INSANELY moist Pumpkin Cornbread! This is THE BEST Pumpkin Cornbread recipe you can find. It's so simple, but so moist, flavorful, and with a hint of sweetness. Made with creamed corn, honey, molasses, and brown sugar, and pumpkin, of course, so it's got the best stuff in it! In a large bowl, combine cornmeal, flour, baking powder, salt, and brown sugar; mix with a whisk until well-blended. Add creamed corn, pumpkin, and molasses. Stir just until blended. Add egg, butter, and milk. Stir just until blended. Pour batter into a greased 8-inch square pan. Bake at 400 degrees for 30-35 minutes or until a toothpick inserted near center comes out mostly clean. I heart this Pumpkin Cornbread recipe beyond words. If you try it, please let me know you how you liked it! 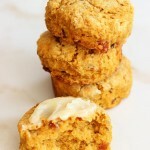 For other pumpkin breads and brunchy things, try these Pumpkin Pecan Scones with Brown Sugar Streusel. They’re better than any pumpkin scone you can find at a bakery, and they’re EASY. The streusel is sent from heaven! Hi Blair! Oh, thank you for pinning, and for coming by again! 🙂 It’s almost Friday – yay!! I hope you’re gearing up for a fantastic weekend! I loved the feeling of my new camera too but it is always a learning curve!! You will get it all down soon. I love this corn bread…now i just need some chilli! Oh, thank you, Stacey! You’re so kind! I love having a shiny new camera, but it’s a learning curve, for sure. As I photographed, the honey turned into a puddle and I was kind of like: “Eh, what are ya gonna do?” Haha. That’s just the way it goes! Omgosh, this pumpkin bread is incredible! You should try a version – it’s totally delicious! Have a GREAT weekend!! Congrats on getting a new camera! That’s so exciting! I just got a new one about a month ago, so I’m still learning the ropes, too. And I hate reading instructions, too! 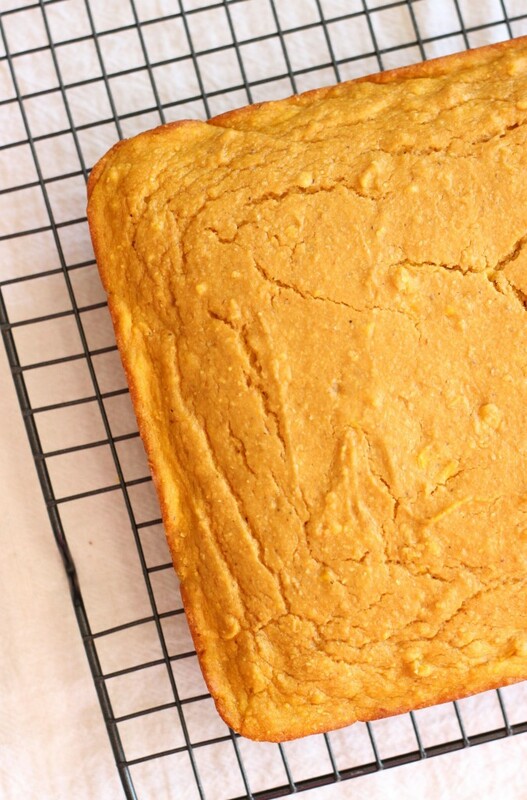 This pumpkin cornbread sounds amazing! I love your creativity with adding pumpkin to a tasty bread. 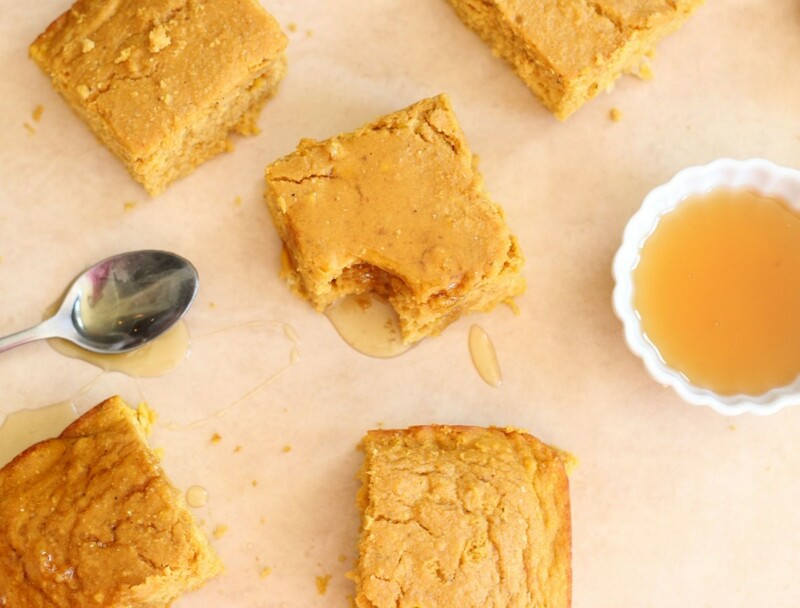 Cornbread is my favorite to eat in the fall, so I’m definitely trying this out! Thanks for sharing! SARAH – YUM! 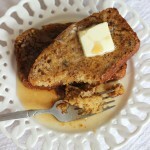 I LOVE pumpkin and cornbread and I bet the pumpkin addition makes it SO moist – obsessed! Thanks for linking up with Show Stopper Saturday! Hi Taylor! Thanks so much for coming by again, and thanks for hosting the party! 🙂 Is there ever a time that pumpkin doesn’t make something SO MUCH better?! Haha. Hope you’re having a fabulous weekend!! Pumpkin and cornbread. I don’t think I would have considered that combo, but it sounds delicious! Thanks for sharing! Pinning! This bread looks delicious! I love cornbread but I have yet to try pumpkin cornbread! Pinned! Loved the shots of the honey on the bread! This looks amazing! I love pumpkin bread and corn bread so this combination sounds scrumptious. I can’t wait to give it a try. Pinning! 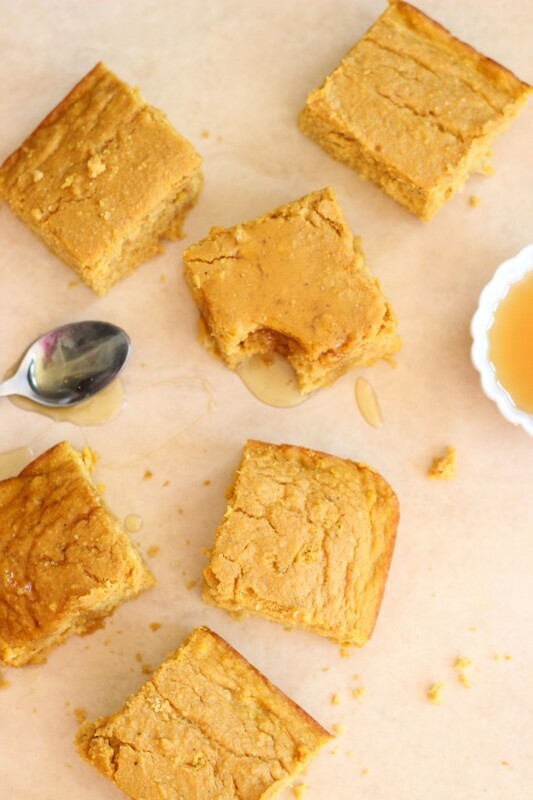 Oh wow, I’ve never tried pumpkin cornbread, but it sounds and looks heavenly! I found you through the Tip Junkie link up. Glad I did! If you get a chance, I’d love it if you stopped by my blog sometime. Have a lovely day! I love cornbread, but I’ve never tried Pumpkin Cornbread. Hmmm, sounds really good. I’m sharing this post on Facebook, Twitter and Pinterest. Thanks for stopping by and linking up for Scraptastic Saturdays. I am SO on board with this bread combo! Not only would I drizzle honey ALL over, BUT I’d be sure to complement the pumpkin cornbread with some AMAZE pumpkin butter!!! I can taste the calories already…and I don’t even mind it! Haha. I can not wait to try this…really..I think corn bread is the perfect food…and some pumpkin..I would eat it all day. I can not wait to try this. Thank you so much for joining us at Party in Your PJs. Thanks so much for the party! Yes, the two flavors are dynamite together! It’s so delicious. Have a great evening! This looks so good! One of my favorites is zucchini cornbread, but I’ll be giving this one a try soon. 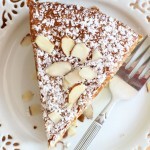 I’m pinning it to several of my boards – thanks so much for the recipe. 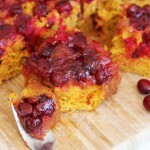 I had never thought to put pumpkin with cornbread but I love that!!! Thank you so much for linking up at Tasty Tuesday! Your recipe has been pinned to the Tasty Tuesday Pinterest board! Please join us again this week! 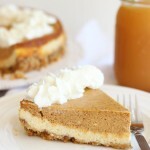 I’m not a big fan of everything pumpkin during fall, but this sounds really great! Two of my favorite things! I’m making chili tonight, this may be added to the menu! Thanks!